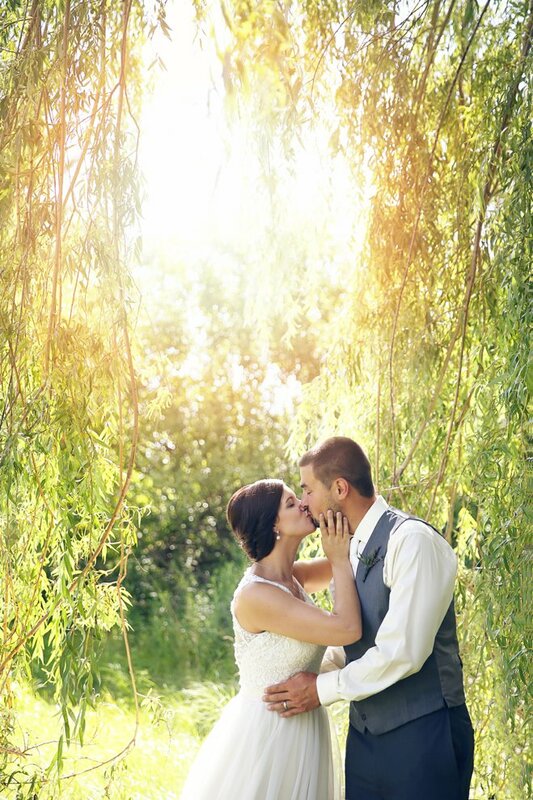 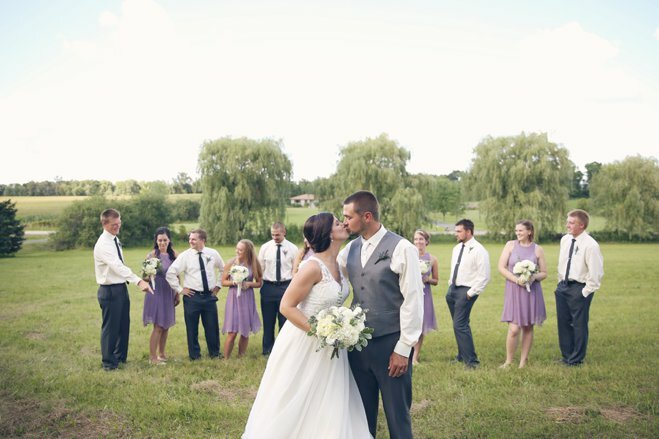 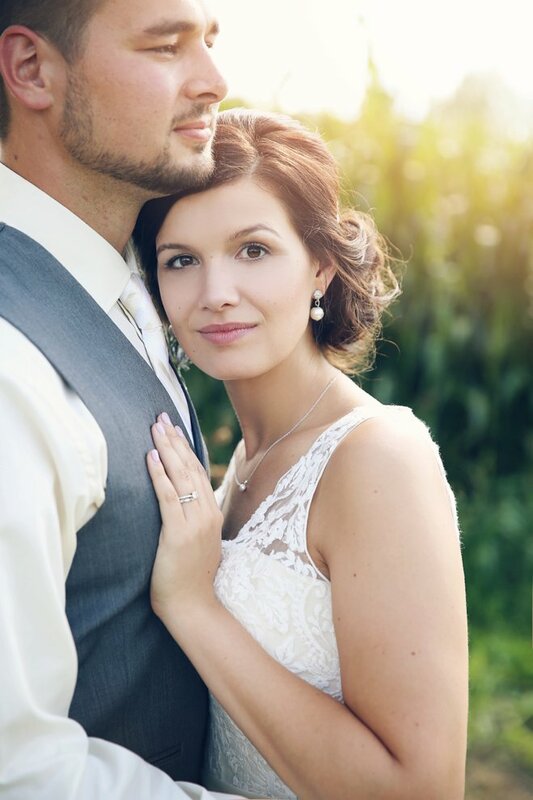 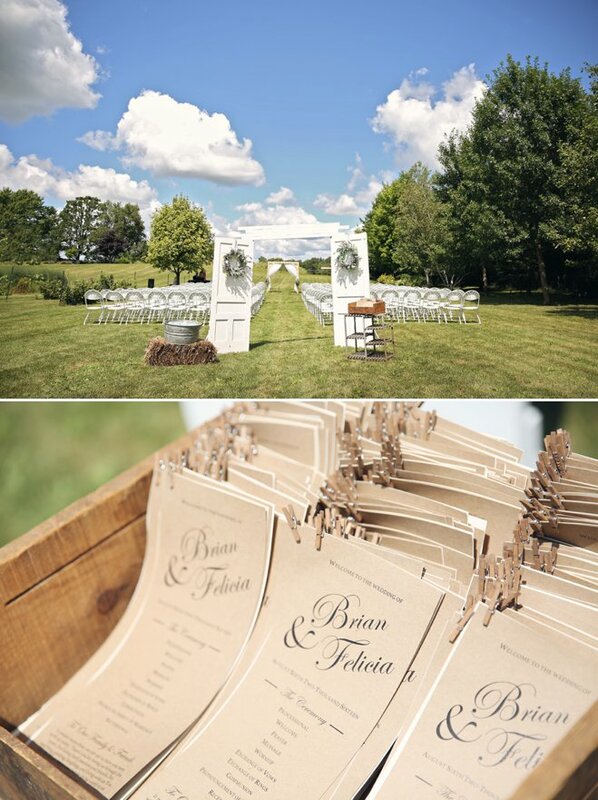 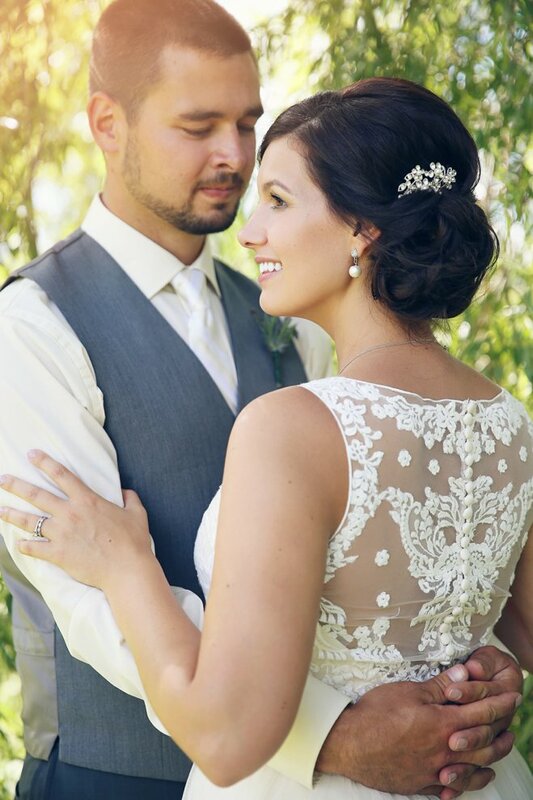 Felicia and Brian were married in a gorgeous field on a hot summer day. 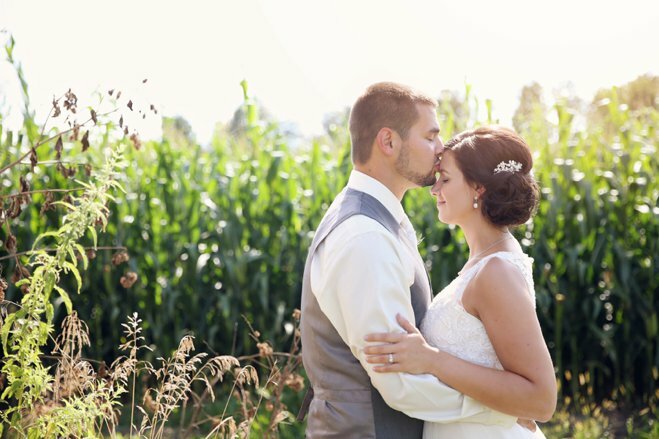 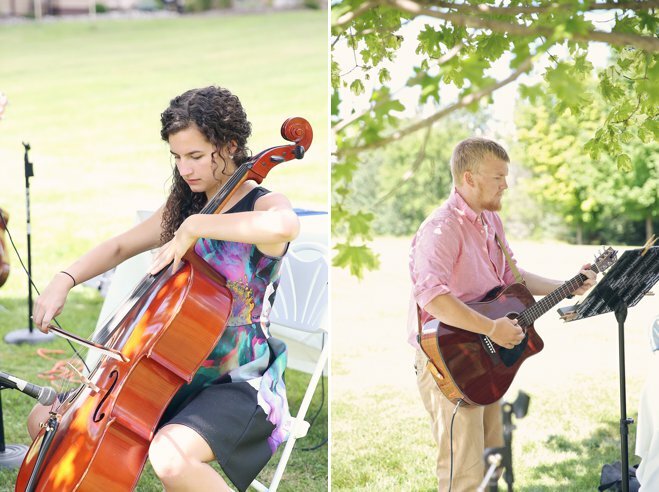 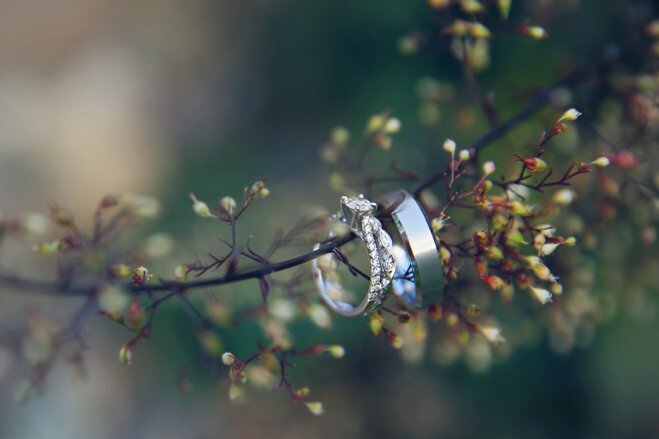 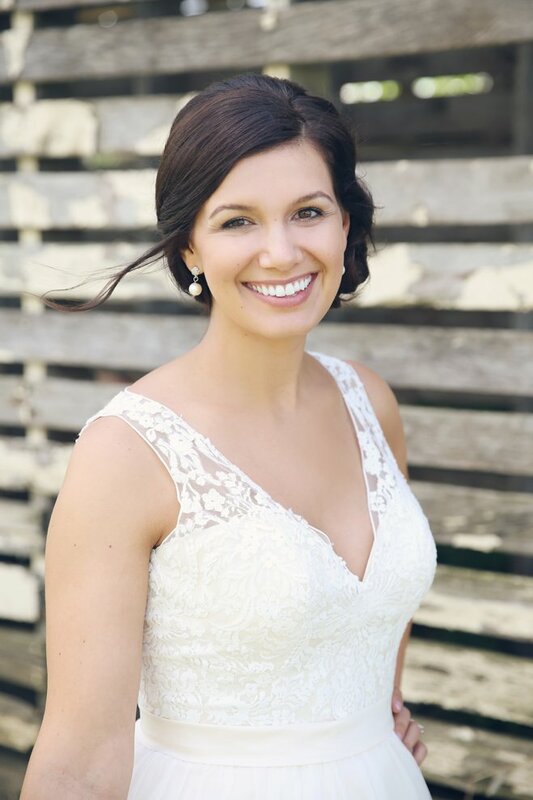 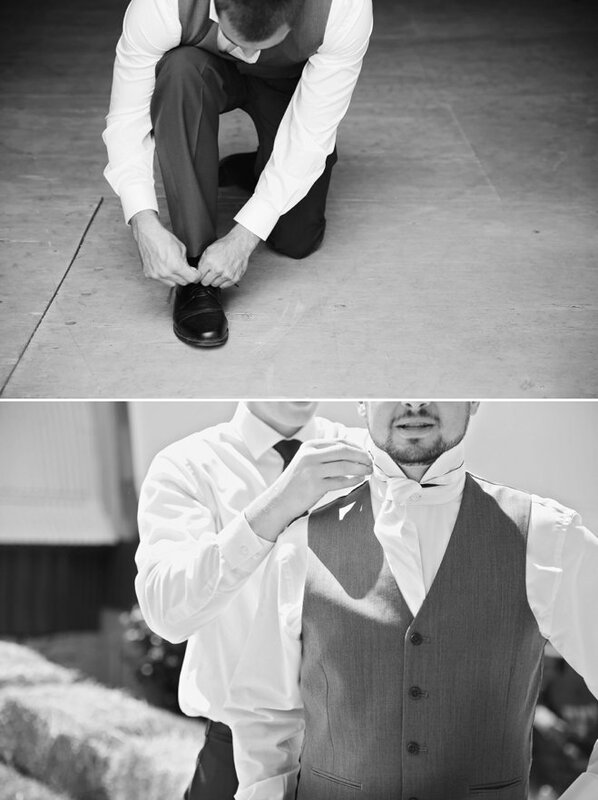 Both from small towns, the couple focused on making their wedding day relaxed and fun. 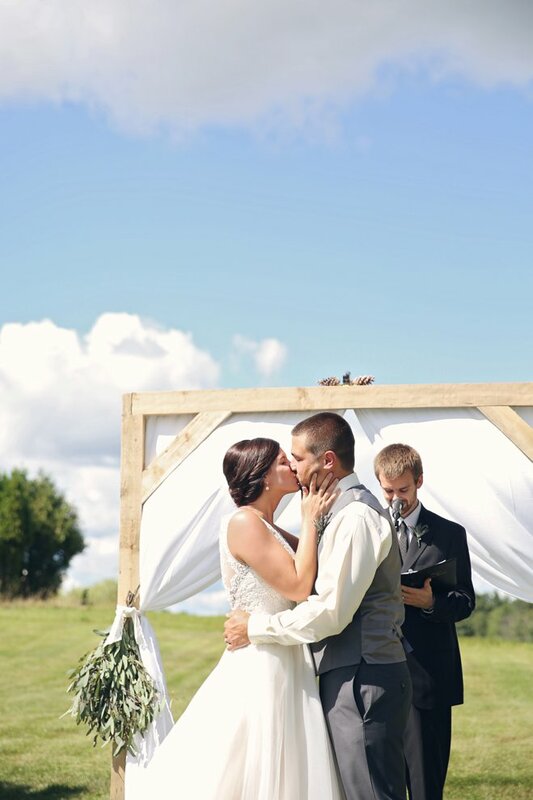 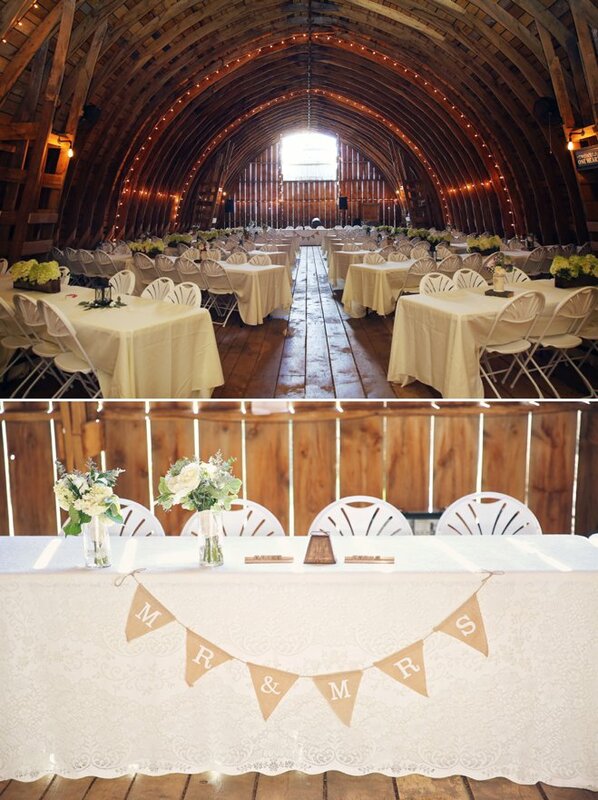 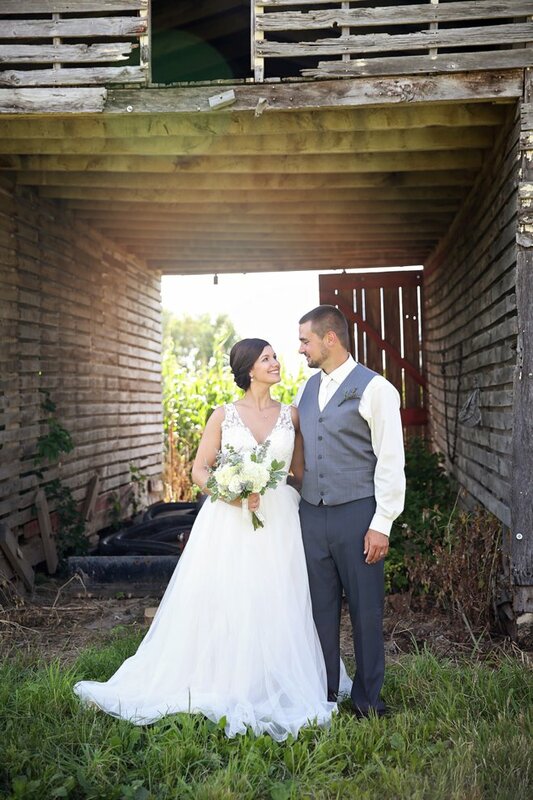 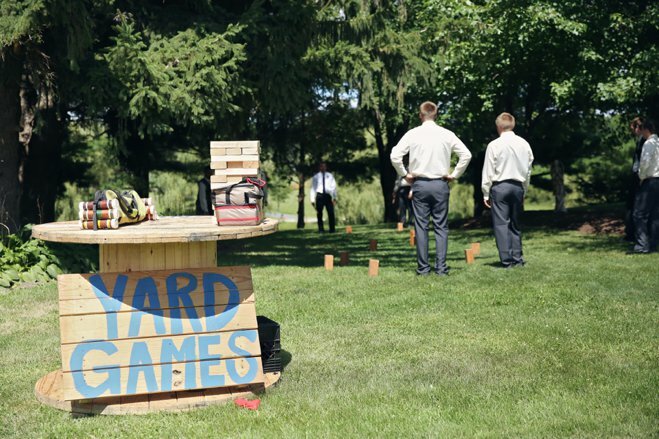 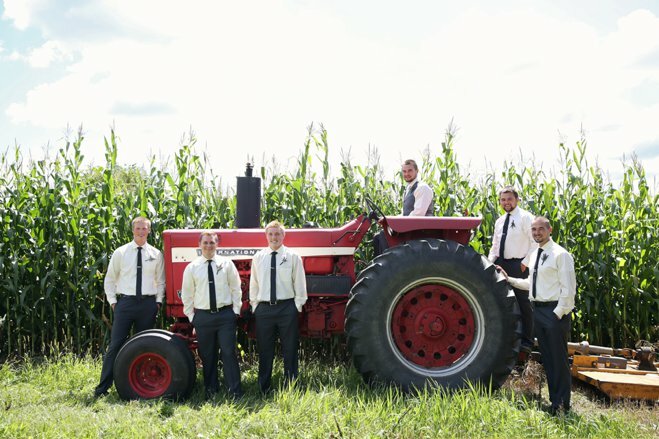 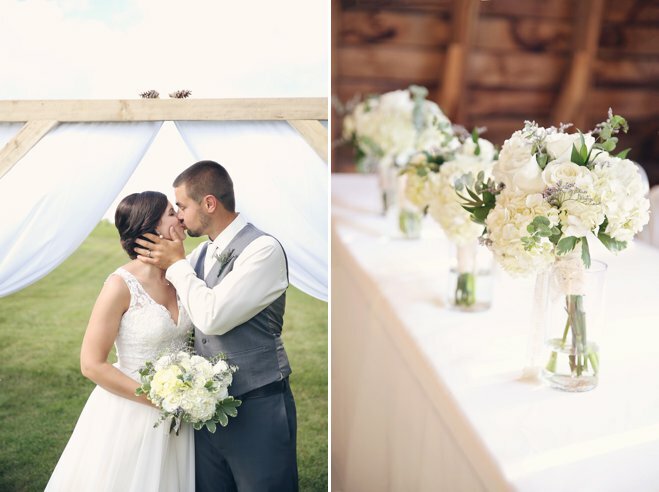 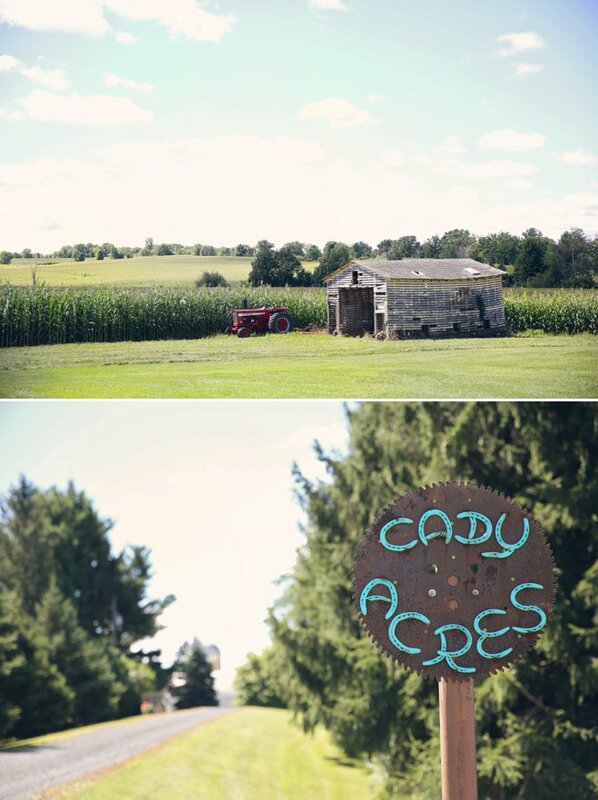 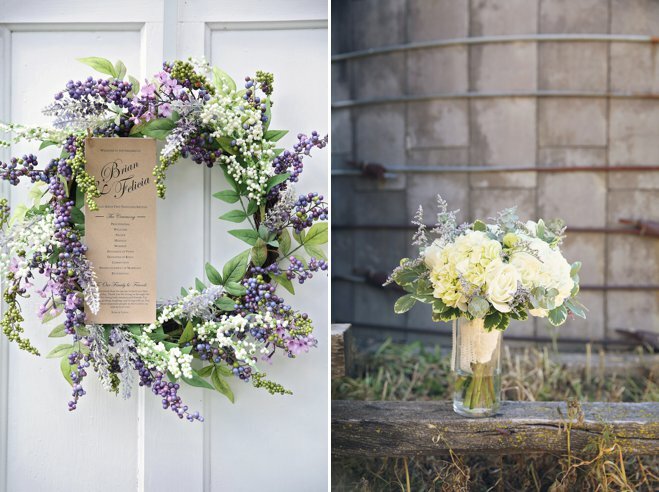 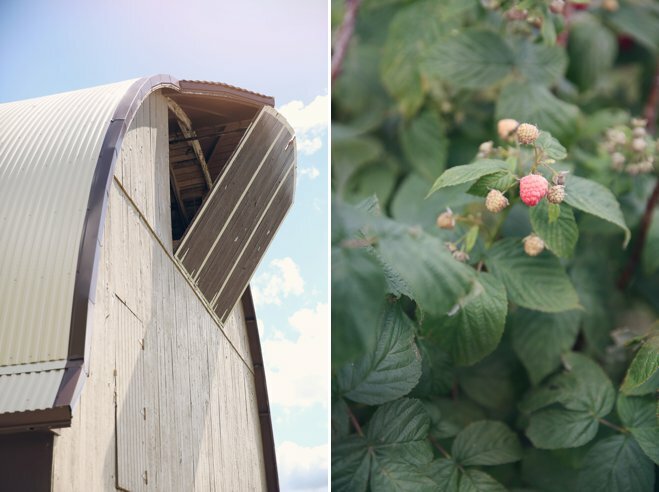 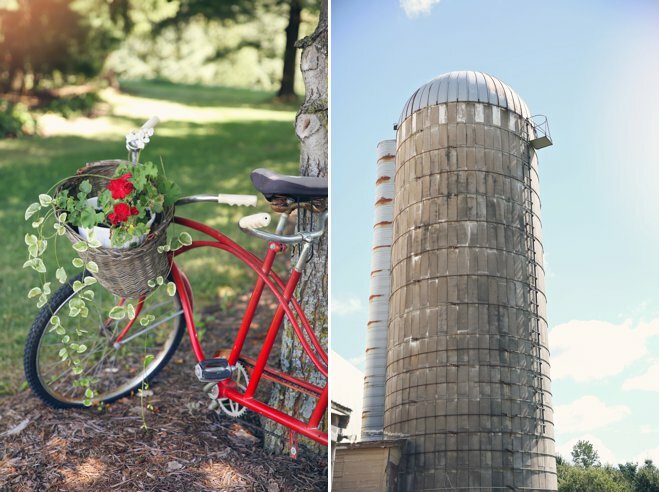 From after-ceremony games to a cozy barn reception, the day was carefree and full of love. 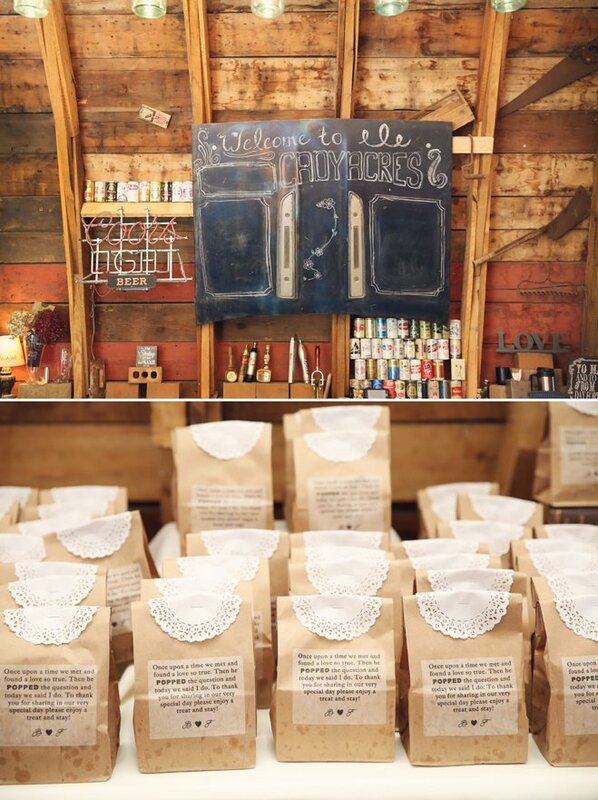 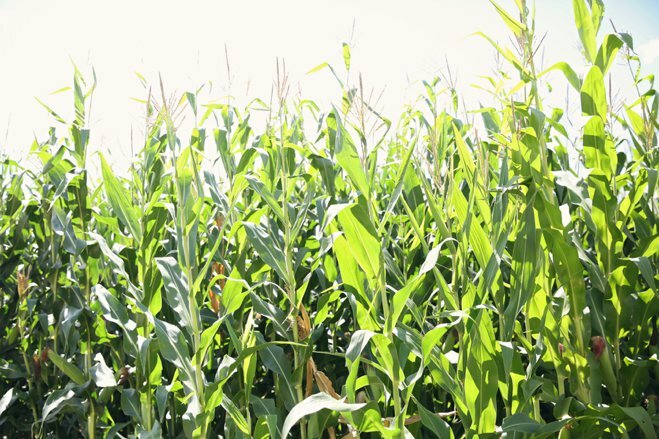 The couple’s humor was displayed in their wedding favors: paper bags of popcorn kernels, celebrating the day “Brian popped the question.” Felicia wore a gorgeous gown featuring an intricate lace back with satin-covered buttons. 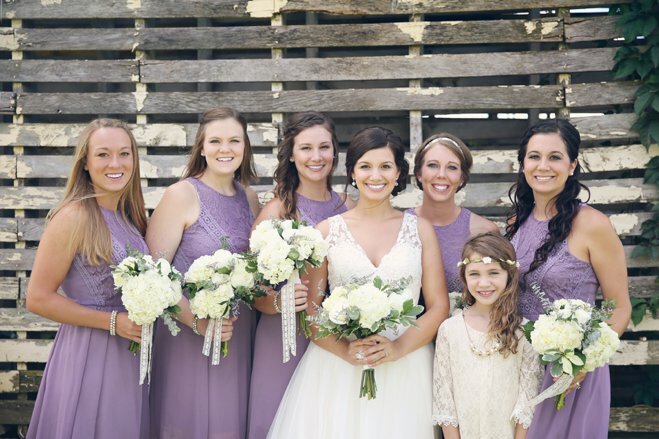 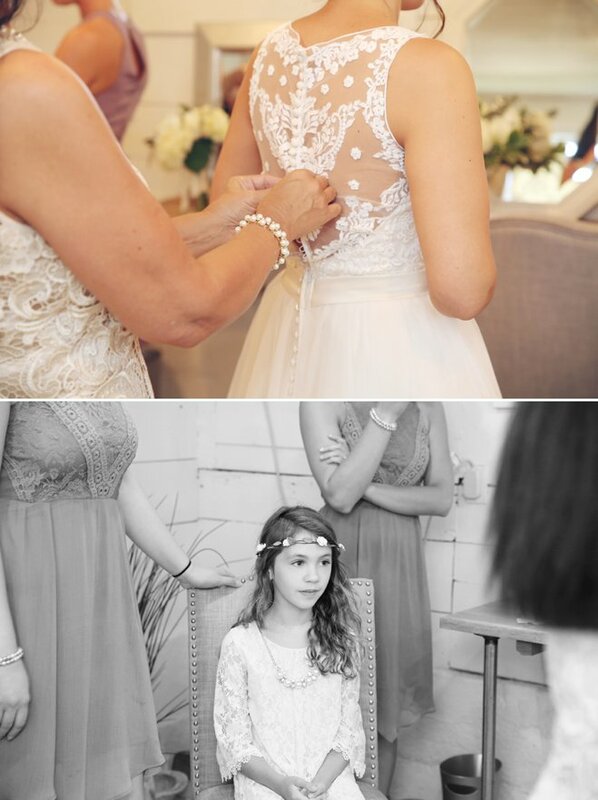 The bridesmaids wore lilac-colored dresses and the flower girl donned a cream-colored dress and floral crown. 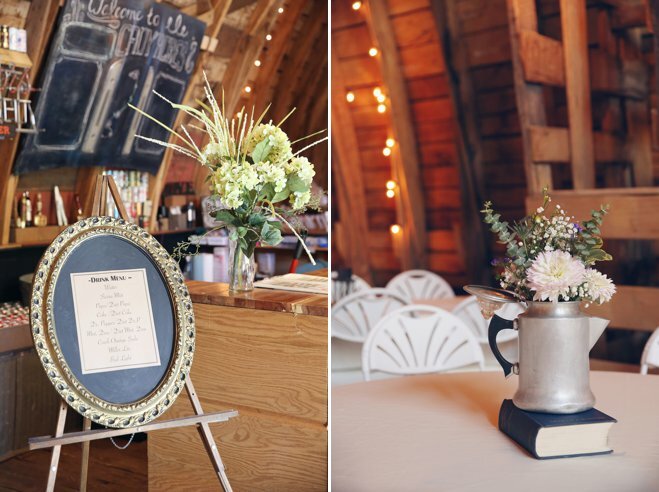 Family and friends helped create an intimate ceremony atmosphere by playing music, and Brian’s mother made all of the flower arrangements. 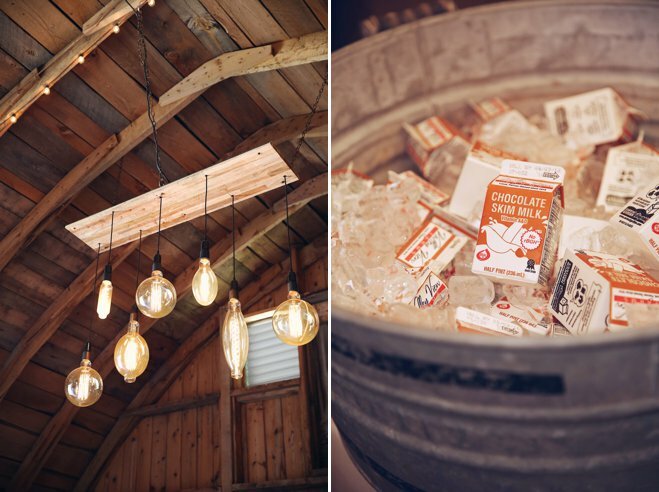 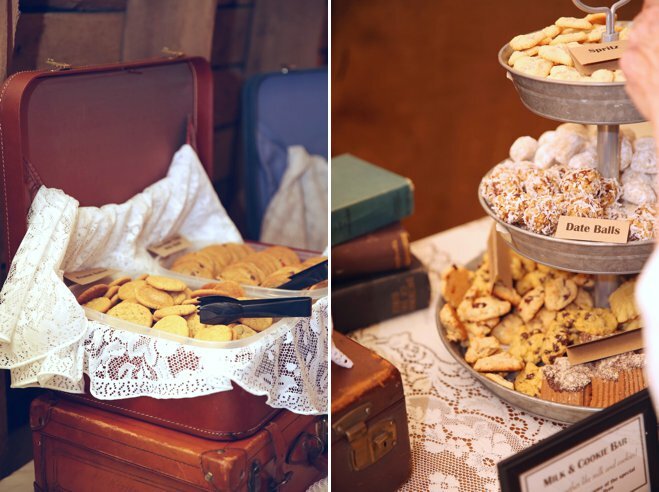 After a delicious buffet dinner, the guests were treated to a cookie bar complete with little cartons of milk. 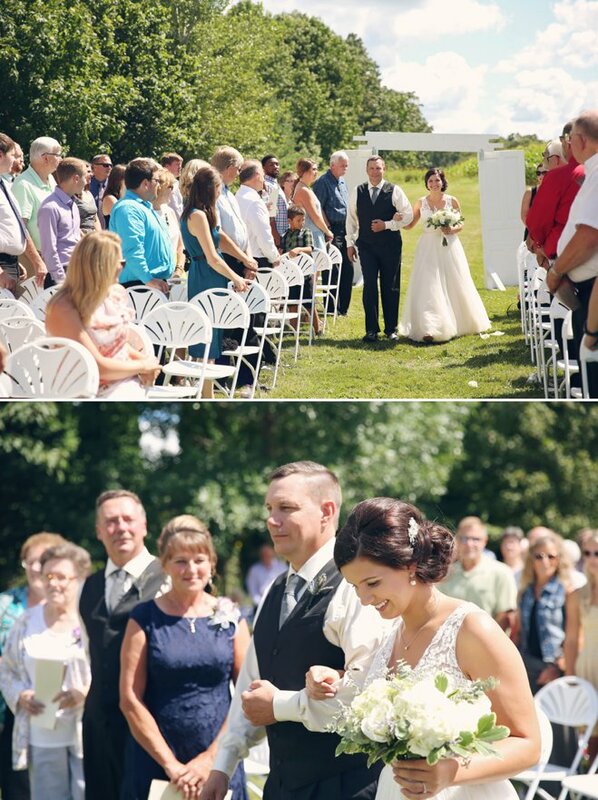 This wedding was truly a celebration of family from beginning to end.